Turkey offers one of the best travel experiences for families of any country. Above all, it’s a great place to eat! Hotel breakfasts are typically Mediterranean – you’ll get cheese, eggs, salads, olives and sometimes cold meat. You’ll also get fresh bread, honey and jams. There is no reason for anyone to leave the table hungry. By the time your kids are asking about lunch, the traditional “lokantas” are opening up. These are typical restaurant that you’ll find throughout the country – in the front entrance the chef will be standing in front of up to twenty steaming pots of food, vegetables, rice, fish, chicken, lamb , beef and more. You can see what every dish looks like and then after ordering, your food will be brought to your table within a minute or so. What is so great about this is that your kids can see immediately what appeals to them so there is no reason for anyone being upset. Vegetarians are well catered for – rice and beans are a very common and very cheap dish, and you even get to choose what kind of beans you want as well. Outside on the street, the most common fast food on offer is doner kebap (much like you’ll see all across the western world these days) and kofte – meatballs that are often eaten in a baguette sandwich. Just steer clear of Cig Kofte – these are raw meatballs, wrapped in lettuce leaves. The stall holder will take a chunk of raw mincemeat and form the meatballs there and then, and serve them. I’d stay clear! Pide is Turkish pizza and a popular snack or meal everywhere – a boat shaped base covered in cheese or meat. No tomato sauce – this isn’t Italy. One can happily eat during Ramadan as well – lokantas stay open and often one will see local families feeding their kids – while the parents stand by. Dessert is an absolute highlight. You’ll find many stores specialising in baklava and other sweet pastries, while a “muhallebeci” is a pudding shop – specialising only in different kinds of puddings. Turkish delight is seen as a candy, not as a dessert. 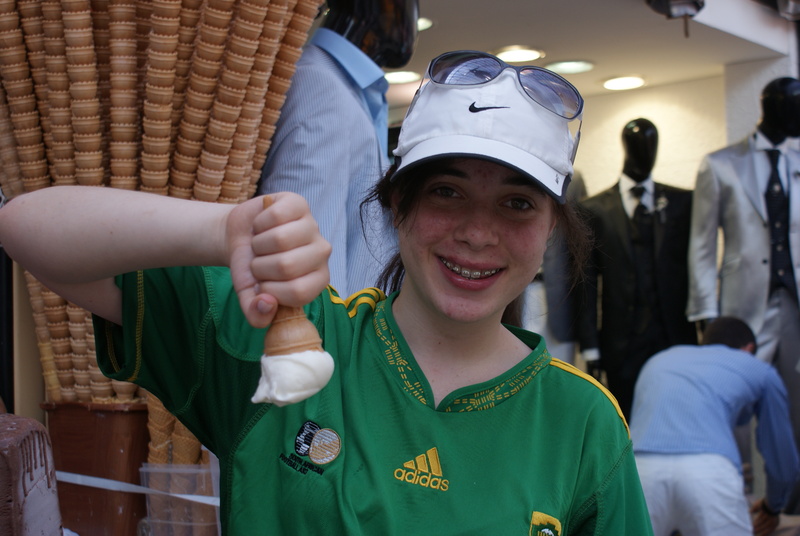 Ice cream is a popular way to finish the meal – from typically Turkish “Maras” style which is ice cream with a mastic gum base – you can turn the cone upside down and it’ll stick, and regular ice cream of course. Drinks wise, soft drinks are everywhere, though typical Turkish drinks include ayran – a salty yoghurt drink served very cold and liked by most kids, and salep , a delicious warm winter concoction that is impossible not to love. However, since most people visit in summer, they seldom come across salep, which is only served in winter. 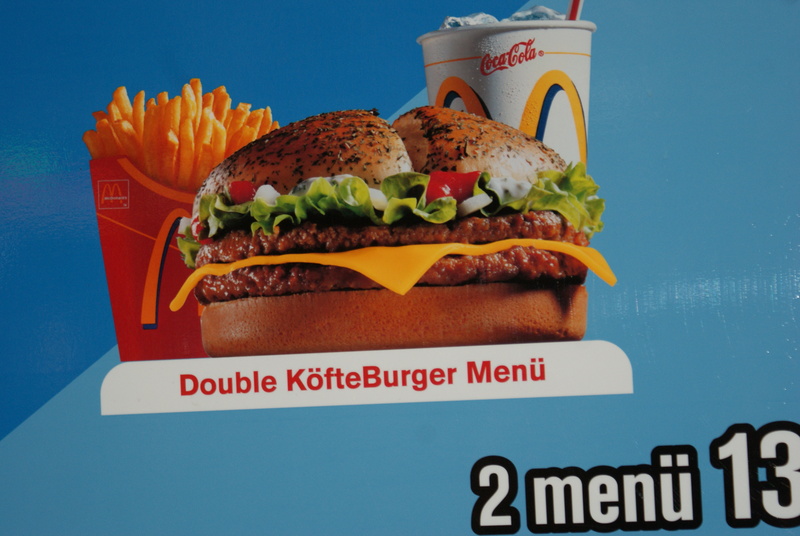 Finally, you’ll find the golden arches, but with a Turkish twist – ever tried a kofte burger? 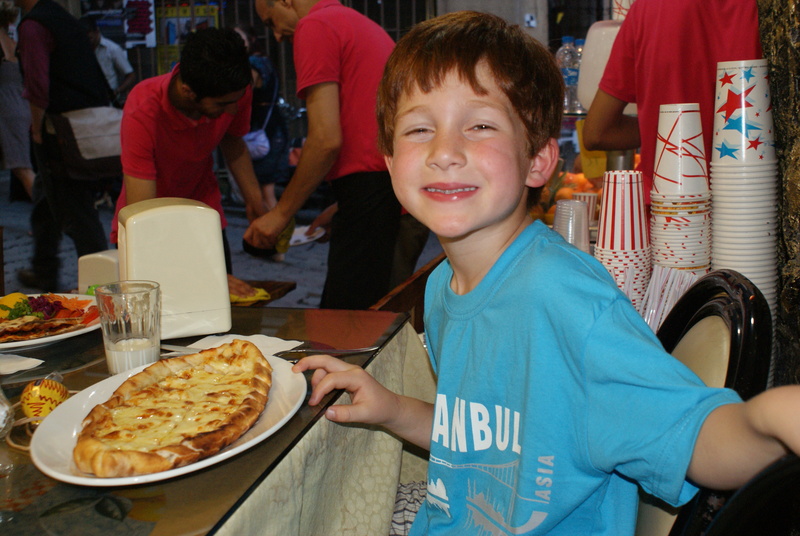 My kids loved the food in Turkey – it’s very rare to come across anyone who doesn’t! I plan great trips to Turkey. For more info click here. If all else fails – the KofteBurger! Very Interesting post…Thanks Gideon for sharing such a awesome article.